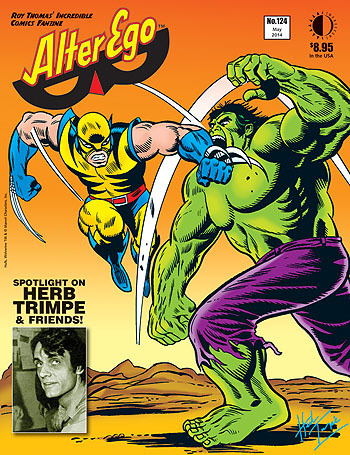 While we’re frantically working away on our upcoming biography of superstar artist Herb Trimpe (due out early next year), we’re ready to whet your appetite with a Hulk-tastic issue of Alter Ego spotlighting the artist known for his work on the Green Goliath! Issue #124 is now shipping, and you can read a free preview of it here. This entry was posted in TNT on 7 April 2014 by Mr. Morrow.